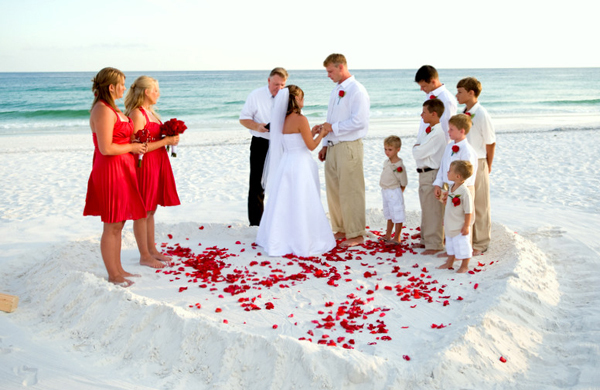 A beach wedding can become an unforgettable experience both for you and your guests. 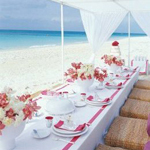 However the beach weddings could be quite costly depending on the location and important details. 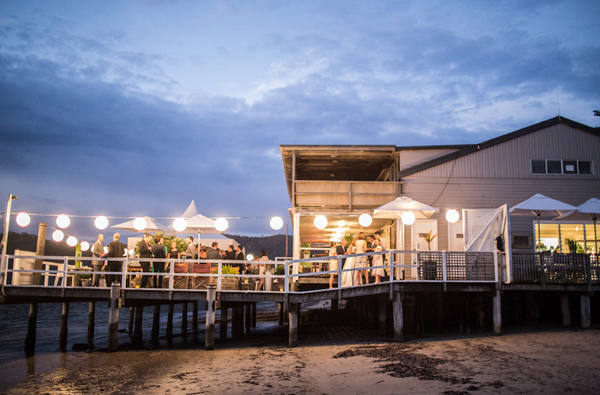 Our useful tips will help you with deciding on the most appropriate wedding venue for your celebration. 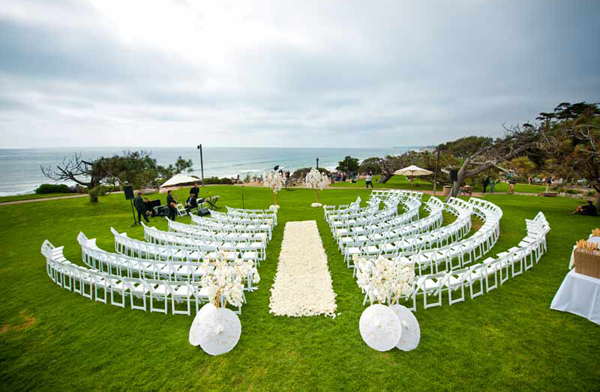 The wedding venue is probably one of the key decisions in your wedding planning. Look for the state parks, public beaches and beachfront hotels or condominiums. Each of these locations has the pluses and minuses. While the state parks have a rough charm, you might have problems finding the ones with the shelter areas or pavilions provided, which could be used as an emergency option in case of rain or wind or as an eating area during the reception. In case you have a limited wedding budget, consider opting for the beaches, which are mostly free. In fact there are public beaches that are supplied with the pavilions, but in most cases they don’t offer any indoor area. So, renting a tent is probably unavoidable. Hotels and condominiums by the waterfront used to include in the list of services both indoor and outdoor wedding venues. So, consider the option of having the ceremony outdoors and then moving indoors for the reception. The biggest minus is the high cost for the full-service facility. Keep in mind that the date and location are interrelated, so consider the few possible dates if you dream about the wedding in certain location. Ensure the minister or justice of the peace is available on your date. In case you plan to rent the tents, chairs or decorations, make sure to order the right number of each item and have them delivered before the wedding ceremony or reception starts. Before the big day comes, don’t forget to discuss with your photographer the fact that you plan an outdoor photo shoot. Besides, make sure the caterer you chose will do everything on time for your wedding reception. 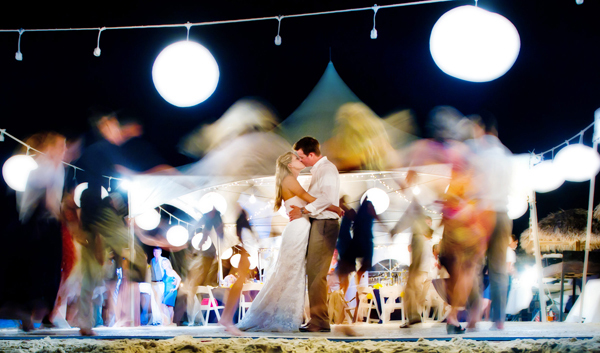 Another thing you should consider is parking: it can become a real problem for beach weddings. In case you decide to have the wedding reception at the same place as your ceremony, check whether it offers enough space for your reception. Keep in mind that the pavilion or tent will protect you from the sun, but won’t be a solution in the blowing rain. Another fact to think about is the food safety. In case you plan your wedding on the hot sunny day, try to keep all the food in the cool place since the cake will melt once it is exposed to the hot temperature.